Maintaining your health is an active process that you should engage in on a daily basis and on multiple levels. When it comes to your skin, this is, even more, the case, as proper skin care requires daily maintenance and attention. Working in coordination with a facialist, you can develop a regimen that will not only unveil the most beautiful, natural looking skin possible but also give you other benefits as well such as boosted confidence and a renewed appreciation for your health. Meditation, prayer, or general relaxation. Not only do these three activities help you cope and handle life’s ups and downs but they also benefit your skin. Stress and anxiety can lead to fatigue, lines, wrinkles and even breakouts! While this differs from person to person the way your body reacts to stress could have an impact on your skin. Limiting stress is one way to keep those problems to a minimum. When you are out and about be sure to wear protective sunscreen as well as clothing to protect your skin from the sun’s harmful UV rays. 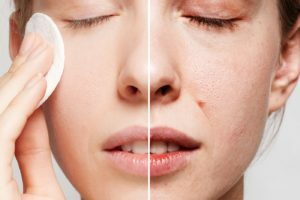 Easily one of the largest contributors to early aging, sun damage is hard to repair and difficult to avoid unless you take the necessary precautions. Find a daily wear sunscreen for your face that you like and be sure you remain covered while out in the sun. If you’re planning a day outside be sure to re-apply sunscreen to all exposed areas every two hours. And wear a hat! Another detriment to your skin’s health is smoking. Apart from the damage it does to your general health it reduces the oxygen levels in your blood by 50% and causes collagen breakdown, wrinkling and early aging in the skin. Quitting now will not only have a myriad of benefits for your skin but also your overall well-being. Did you know that maintaining a healthy diet can also lead to improved skin health? Consider eating healthy whole foods and drinking plenty of water as part of your skin care regimen. Like many suggestions on this list it has benefits outside of your skin so don’t shy away from embracing a new you in terms of health management. After the summer our skin tends to look tired and over exposed and we are also more limited during the hotter months in terms of using actives because of how they react with heat and sun. Time to reset! Fall offers an opportunity to bump up our home care routine and consider some more advanced facials to get that glow back and prepare for the Holiday season. Boosting hydration levels is a must. Moisturize, moisturize, moisturize! Find a hyaluronic acid moisturizer to keep your skin dewy and fresh every day.Change to a creamy cleanser morning and night and make sure that you are not using anything that contains Sodium Laurel Sulfate. This can both irritate and dry the skin. Exfoliate regularly but don’t overdo it. Twice a week should be fine. Combine scrubs with your cleanser to create a buffer. This will still get rid of dead cells but not irritate the skin. Better still use a gommage that simply dissolves the dead skin without any abrasion. Now the days are shorter and the temperatures cooler you can step up your use of Retin-A but be sure to use it under or on top of a moisturizer depending on your skin type. This will prevent any reactions. If you are sensitive, try Retinol. Retinol is a specific form of vitamin A that is naturally produced by your body. When it is applied topically, enzymes in your skin convert retinol into retinaldehyde and then into retinoic acid. Because it undergoes this two-step conversion, retinol is naturally more gentle. One thing you should continue to use is a sunscreen. Maybe not the higher SPF’s that we tend to use when we are at the beach or on summer vacations but at least an SPF 30 every day. Daylight brings sunlight and our skin still needs protection. Masks are great in the Fall to hydrate and brighten the skin. Sheet masks infused with peptides, collagen and anti-oxidants, and cream, clay and overnight masks are all great options. Once or twice a week will really boost the appearance of your skin and keep it in tip top shape. Use serums that also contain a variety of peptides as well as stem cells and epidermal growth factors. These ingredients boost collagen production and can be applied at night or during the day under a moisturizer. Anti-oxidants like vitamin C and niacinamide are particularly suited for day use as they protect the skin against the sun and environment. Your first Fall facial at the spa should include lots of cleaning, hydration and rejuvenating. Not only does this get rid of the extra sunscreen we apply during the summer months but it also repairs the signs of aging that hot, dry weather can accentuate. 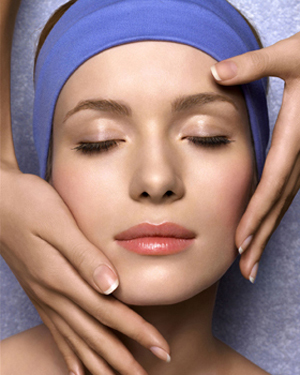 Facials using microcurrent to tone and tighten the skin work well especially when they are done as a series. Ultrasound and Galvanism do double duty by deep cleaning. Oxygen treatments brighten and tighten and hydrating essential oils will maintain your skin throughout the winter months. By following the steps we have recommended for your home care regime and with regular visits to the spa you are guaranteed healthy and radiant skin throughout the Fall and winter months. Look out for our next blog about customized peels. Summer is upon us again so here are eight things you can do to stay safe and be kind to your skin. Anti-oxidants – stimulate your skin’s collagen production and reduce your chances of burning by using vitamin C serums two to three times a week during the summer months. Foods rich in leafy greens, blueberries, kiwi, sweet potatoes and salmon- also help to decelerate skin cell aging and repair past sun damage. Taking vitamin C with zinc will double up on boosting the skin’s natural immune system too. Stay hydrated – as well as drinking water make sure to eat plenty of water filled vegetables during the summer months. Cucumbers, asparagus, celery and lettuce are great for added hydration and giving the skin a glow. (See post in Lifestyle/Wellness category titled “Water”). Watch for sun sensitivity – prescription medications can cause some severe re-actions to heat and sun – everything from a painful burn, photo allergic dermatitis and pigmentation – the birth control pill in particular can cause a type of pigmentation that is extremely resilient to treatment. So check labels for any warnings and consult your doctor or pharmacist if you are unsure. My recommendation is to be a shade hound! Sun screen application – lots has been written about this topic. As far as formulation goes, current wisdom recommends sticking with zinc, titanium and mineral based sun screens. Other anti-inflammatory and calming ingredients to look for would be aloe, green tea and pomegranate and as already mentioned in this blog, vitamin C. As we all know, a higher SPF does not mean double the protection and can often be irritating. Stick with an SPF 30 and find a texture and weight that suits your skin type. There are now powders as well as cremes and lotions. 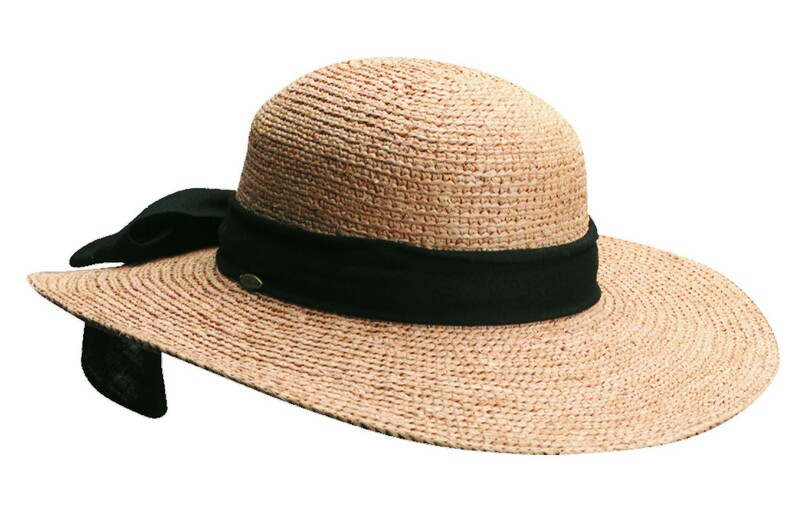 Wear a Hat – there is now a great selection of hats made out of UV fabrics that offer extra protection to the face, ears and neck. And they are very stylish! Have one in your car at all times and several at home. That way you are always prepared. Apply sun screen – liberally at least 30 minutes before leaving the house and layer twice waiting 15 minutes before second application if possible. This ensures a more thorough covering. Consider any protection contained in make-up a bonus and not a main source of protection. (See this post in Seasonal category titled “Skin Sense on Sun Sense“). Summer facials – all this extra product causes clogging and congestion so have deep cleansing facials every three weeks during the summer months. Avoid chemical peels, heavy exfoliation and laser treatments during this time. As already mentioned, the heat and sun can cause pigmentation and irritation – the very conditions that these protocols aim to correct. For maximum summer skin care, try oxygen facials. These super-deep cleansing treatments restore hydration and tighten skin tone. Sunless options – Use one of the many sunless tanning products as a healthy alternative to the sun to keep the body glowing throughout the summer months. Start with a spa visit and then re-apply at home every 2-3 days. Return to the spa for an exfoliation and re-application every month to keep the tan fresh and the skin properly hydrated. Be careful about using these products on the face – they can both dry the skin and stain the pores. Better to use a tinted moisturizer or BB crème . 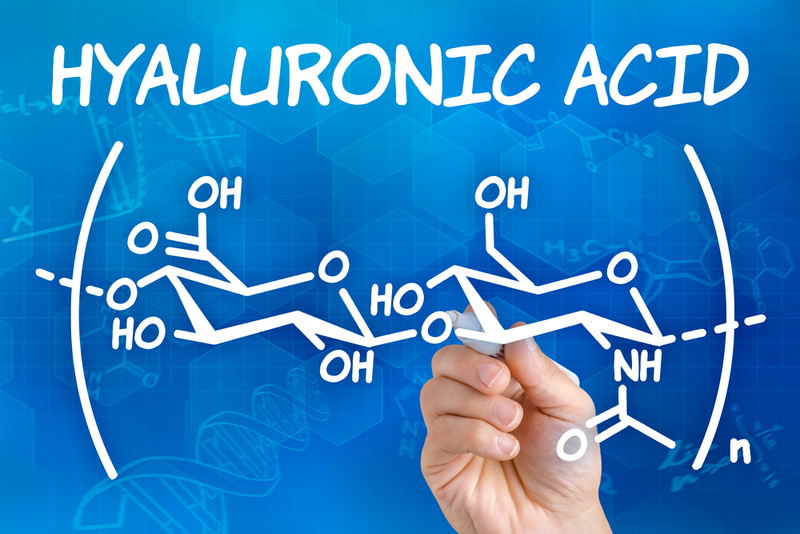 Hyaluronic Acid (HA) is classified as a glycosaminoglycan capable of holding up to 1,000 times its weight in water. It is like an enormous sponge. The skin accounts for about half of all the HA found in the entire body. In fact, one reason that hormone replacement treatments sometimes cause the skin to look more youthful and less sun-damaged is because they increase the skin’s HA concentration. The primary way in which Hyaluronic Acid functions is by reducing water loss from the skin. It acts as a cushion and lubricant in the joints and other tissues. It is a clear substance that is produced by the body naturally and is part of the extracellular matrix (ECM) the skin’s protective barrier. It helps to retain collagen, increase moisture, and provide elasticity and flexibility. In other words, HA keeps us looking young! Many people report that their skin feels “dewier,” that the bags under their eyes diminish and that their skin texture is smoother after applying serums containing hyaluronic acid. The size of different HA molecules is critically important for hyaluronic acid’s various functions. Larger molecules are found in healthy tissue and help keep inflammation, free radical damage and dehydration under control, whereas smaller polymers of HA can send distress signals to the immune system and raise inflammation to help with injury or wound healing. In fact, as well as being a super hydrator, HA is beneficial for treating cold sores, mouth sores, ulcers, bites and burns due to its ability to keep damaged tissue moist. And because it is a naturally occurring substance in the human body there is little risk of a reaction. Aging is triggered by both intrinsic and extrinsic factors, meaning daily environmental exposure to pollutants and UV light, along with the normal process of aging. Studies show that there are multiple sites in the skin involved in the control of HA synthesis, deposition, cell and protein association and degradation. As we get older skin cells lose their ability to bind and retain water. Dryness occurs and this is when wrinkling begins. Additionally, wrinkles and fine lines are usually more visible in low humidity compared to high humidity environments because they further reduce the water-holding capacity and elasticity of the skin. Hyaluronic Acid can help all these situations by naturally reducing signs of aging and cutting epidermal water loss associated with environmental exposure and the normal aging process. HA has been referred to as “the key molecule involved in skin moisture” and in the past decade scientists have been able to create technology-advanced HA formulas that are capable of really seeping below the skin’s surface. Recent studies show that topical application of advanced (low molecular weight) HA serums can improve skin moisture and lead to significant reductions in wrinkle depth within just several weeks. To summarize, Hyaluronic Acid, because of it compatibility with just about every skin condition is a must have tool to add to your beauty box. Look for formulas that have more than one type of HA. This ensures that your skin will benefit topically and also see results at a deeper level over time. By day, the body protects itself; by night, the body repairs itself. As aesthetic professionals we are constantly reminding our clients about the importance of their before-bed skincare ritual to piggyback onto this physiological phenomena. So what exactly does the skin get up to when we are out cold in the Land of Nod (or as we British compatriots like to say, “Off to Bedfordshire”)? The circadian rhythm is a 24-hour cycle that regulates the bodies of all living creatures. In humans, it is often referred to as the ‘body clock’, for it tells us when to sleep, rise, eat, regulating many physiological processes. When we find ourselves getting hungry or sleepy at the same time each day, that’s the circadian rhythm at work. Everyone has a slightly different circadian rhythm – hence Larks (morning people) and Owls (night people) – but the average length is 24 and one-quarter hours. Back in 1981, Charles Czeisler, MD, PhD, FRCP of Harvard Medical School showed that daylight keeps a person’s internal clock aligned with the environment. This means that those who are most comfortable staying up late have naturally longer circadian rhythms than those who prefer to jump out of bed at the crack of dawn. Generally, left to their own devices (that is, with no caffeine, party drugs, adrenaline or undue stress interrupting things), our bodies’ circadian sleep mode pattern kicks in around 9:00 pm. Researchers also know that melatonin, the sleep hormone that protects the skin from pollution and sun damage during the day, begins to activate about this time signaling that it is time to wind down. Then later as we sleep, serious skin revival and repair processes really kick in including increased production of HGH, the human growth hormone that helps all tissue repair and regenerate, as well as enhanced cell turnover. 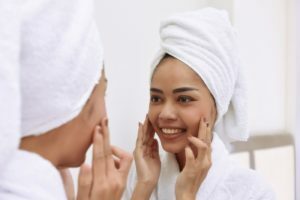 So how can we as skincare professionals design our client’s nighttime skin care regime to capitalize on all this activity and ensure that the skin is refreshed and restored by morning? Start by advising your clients on a few strategies and remember to remind them to treat their neck and décolletage at the same time. • Leverage the 9 p.m. skin receptivity window: According to Anna Persaud, CEO at This Works, a skincare company based in the UK that pays particular attention to circadian rhythms and how they affect the skin, “The mid-evening phase, around 9 p.m., is when the skin is most able to absorb topical treatments and DNA repair is boosted.” So, even if your client doesn’t generally go to sleep until midnight, if she’s in for the evening, advise her to perform her abolitions at this time. • Remove, rinse and repeat: Double cleansing at night is an absolute necessity no matter where you live because of today’s polluted atmosphere. Using two types of cleanser has become popular for good reason. Applying an oil-based product or micellar water first to gently remove make-up, followed by a deep pore cleanser that can be washed off, is an efficient way to make absolutely sure the skin is scrupulously clean. This is essential if your client uses mineral based cosmetics – which I love and recommend – but have found they can adhere to the skin more than conventional formulations. • Exfoliate as needed: Adding an exfoliating product or mechanical cleansing brush (like a Clarisonic) to the routine is also very helpful; two to three times a week for sensitive skin and more often for normal. For those with super-sensitive or rosacea-prone skin, I recommend avoiding exfoliating directly around the nostrils as this area tends to redden and flair. Just make sure the client keeps the brushes properly cleaned after each use and changed on a regular basis. • Don’t forget to tone: I always recommend toning after cleansing to make sure not a scrap of anything remains on the skin and to restore the pH. Toning can also add a little extra hydration for those with extra dry skin. Figuring out what products to recommend is where your skill and experience come to the fore. Each client is individual, of course, with skin that responds differently to products and ingredients. Here are my favorite ones that enhance the skin’s natural ability to regenerate itself. • Retinol to boost collagen production and speed cell renewal. Well reputed to aid in exfoliation, topical retinol products can be sensitizing so advise your clients when first starting with this to use once or twice a week initially to build up the skin’s tolerance. • Antioxidants to fight free radical damage. Our bodies naturally contain antioxidants that neutralize free radicals in enzymes like superoxide dismutase, catalase and glutathione peroxidase. There are also smaller non-enzymatic antioxidants like vitamins C and E, coenzyme Q10 (ubiquinol) and glutathione. However, these natural mechanisms can become overwhelmed if too many free radicals are present, which is where the idea of topping up with antioxidant-containing products comes in. Great options to boost stability include Vitamins C and E, ferulic acid, green tea, lutein, lycophene, and resveratrol. • Niacinamide (Vitamin B3) to boost the skin’s ability to fight pollution from the outside and counteract daily stress from the inside. • Peptides to promote collagen production. Composed of amino acids, peptides form a vital part of the skin’s biological signaling mechanism. They carry information to the cells and stimulate fibroblast activity. In serum form, Matrixyl 3000, argiriline and pentapeptides are three options that have proved most effective. • Stem cells to speed cellular repair. The advantage of plant-derived stem cells is that they are unspecialized or meristematic, until they receive a signal from the host plant to differentiate or change. Meristematic cells are generated from a defense response from the plant when it is cut. The responding callus contains stem cells that are now neutral. As they carry the entire DNA gene expression of the plant, they can turn themselves into any particular cell that is needed to heal or regenerate. At this stage these cells are cultured in the laboratory, become a usable active ingredient that eventually, when applied topically can protect against free radical damage caused by pollution, UV exposure, inflammation and photoaging. And the results can be dramatic. Smoother, toned skin with improved elasticity and firmness. Green apple, edelweiss, gardenia, sea fennel, grape and lilac are all great options. • ATP to support cell metabolism. Known as the “energy currency of life”, adenosine tri-phosphate is a coenzyme that stores energy and improves microcirculation while restoring suppleness, radiance and firmness to the skin. • Hyaluronic acid and ceramides to fortify the lipid barrier. While we are sleeping, the skin becomes more permeable and consequently is more receptive to all these fabulous ingredients above. This is obviously a good thing. However, the downside is that it works both ways. Permeable skin can easily become dehydrated through loss of moisture particularly in dryer, hotter or especially chilly climates where one sleeps with the air conditioner or heater on all night. Hyaluronic acid and ceramides are both natural components in human skin and are compatible with every complexion type needing a boost in the hydration department. Getting enough sleep is a challenge for many of us these days and your clients will appreciate your suggestions. I recommend printing this list off to hand out to them on their spa visits. • Expose yourself to lots of bright, natural light during the day. Getting outside each day, even if it’s a quick 20-minute walk, will boost ability to sleep at night as well as your lift your mood and alertness. • Set regular bed and wake times whenever possible. • Avoid hot baths just before bed. Contrary to popular belief, a steaming bath can interfere with sleep by heating up the body’s core temperature. At bedtime you want to cool down. If you love that scalding soak in the tub, make sure you have it at least one hour before getting under the sheets. • Keep your bedroom screen-free. This is a hard one for many of us, but banishing the laptop, TV and mobile phones is one of the best things any of can do for our skin, our health and our stress levels. Exposure to the blue light these devices emit can inhibit the release of melatonin dramatically. If you can avoid looking at bright screens one to two hours before bedtime, the difference in both your skin and your mood will be dramatic. • Sleep on your back if you can manage it. Lines, wrinkles and puffiness literally get pressed into faces that sleep smashed into a pillow. • Slip on a silk pillowcase. While sleeping on our backs is better for us, for many it’s just not doable. So to avoid those deep creases and puffy eyes, a silk pillowcase can help. These are also great for the man in your life to help prevent ingrown hairs. • Use lavender or chamomile pillow sprays. This lovely touch can be very effective to help you fall asleep more quickly. Inhaling the aromas with a deep breathing exercise for just a few minutes quiets the mind and allows you to slip into a deep restful slumber. • Careful with the alcohol. Alcohol can interfere with a good night’s rest so have that glass of wine earlier in the evening. A glass of water before bedtime will also help to keep the skin hydrated while you sleep and nuts, especially almonds and walnuts, add oil and therefore moisture to the body and skin. • Enjoy a light snack before bedtime. I cannot underestimate the importance of putting nighttime to work for maximum skin health and beauty. When a client is compliant, that’s when the results can be really remarkable. A motivated client recognizes that she is in a partnership with us, the aesthetician, to bring out the best in her skin. We know that what they do for their skin every day – and every night – is as important as what we do for them once a month when they visit us in the salon. Clearly, it makes all the difference in the world. You may well ask how light treatments can actually benefit the skin. I am talking about the LEDs (light emitting diodes) that seem to be popping up everywhere. Truthfully, it took me a while to be assured of the benefits. However, at SkinSense we have found that both blue light and infrared light therapy can be really effective at treating acne, eczema, rosacea and even aging. 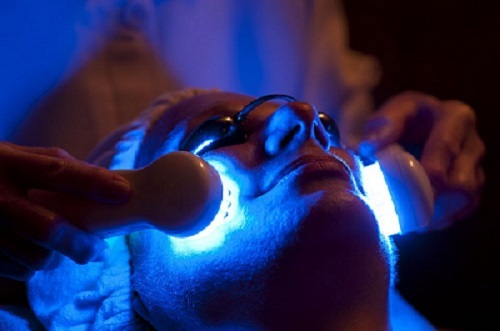 Blue light therapy kills the acne-causing bacteria known as Propionibacterium acnes, or P acnes, which is found in the sebum and oil glands of the skin. These bacteria can cause inflammation and breakouts on the skin surface. The good news is that P acnes is sensitive to blue light and can actually be eliminated with this kind of therapy. Coupled with proper cleansing and treatment regimens the blue light offers a safe alternative to antibiotics and harsh topicals. Red light therapy has a different function to blue light. It can speed wound healing and stimulate collagen production, promote firmness and improve skin texture. Additionally, red and blue light treatments can be used together on acne conditions to heal the skin, diminish scarring and reduce inflammation. At SkinSense we have been using the hand held units during our facial treatments to great effect and have also been retailing them to many clients for home use. It is great to have a zit zapper that can get rid of pimples and breakouts at your fingertips! We have also found that by using the blue light at home, clients are less tempted to pick their skin because the breakouts clear up quickly and don’t leave a mark. It only takes minutes a day to treat each area. Light therapy is painless, non-invasive and requires no recovery time. Both red and blue lights can be used on all skin conditions and ages and has no side effects. So on your next spa visit ask about our LED treatments and maybe consider adding a hand held unit to your skincare routine at home. Stress is a normal psychological and physical reaction to the ever-increasing demands of life. We all experience varying levels at different times and in many situations. Under these circumstances the brain’s hard-wiring system kicks in. When it perceives a threat, the brain signals your body to release a burst of hormones to fuel your capacity for a response. This has been labeled the “fight-or-flight” response and is a normal bodily reaction that is meant to protect us. However, because we now live in a world of nonstop stress most of the time, our alarm systems rarely shuts off! Without stress management and over time, high levels of stress lead to serious health problems including a myriad of skin issues. Hormones, neuropeptides and other signaling molecules released during stressful times may be second only to sunlight in aging the skin. And the really bad news? Women are more prone than men. That means wrinkling, loss of tone and increased levels of sensitivity, particularly as we age. Additionally, proteins and DNA in the epidermis and dermis are broken down by prolonged periods of stress and this in turn can cause acne, rosacea, psoriasis, eczema and hives. Feeling bad about the way we look makes us less social and more isolated. This aloneness diminishes the production of Oxytocin, the bonding hormone. It is unrealistic to imagine we can ever live a stress free life but we can commit to developing coping skills that maintain balance, even at the worst of life’s moments. Getting outdoors and in touch with nature. Hiking, gardening, sitting on a park bench all reconnect us with our natural surroundings. Breathing deeply and meditating. Not just when we are really stressed but at regular times throughout the day. Disconnecting from social media for a day or if that sounds unimaginable, half a day! Changing your mindset. When a challenge presents itself, think of it as an opportunity for personal growth. Have a supportive tribe so you don’t waste time with negative or toxic people. Sweat out tension with a workout. And of course, my favorite, get a massage and a regular facial at SkinSense. Confucius once claimed: “True quality of life comes from lasting harmony between body and mind.” This is a goal worth aiming for. A life without humor is no joking matter. We all love a good laugh and the feeling it gives us – and there is a reason – there are true health benefits to a good giggle or hearty chuckle that can be essential to our well-being. UCLA Medical School established a Humor Research Task Force after Norman Cousins managed his pain with laughter therapy and now there is actually an American Association of Therapeutic Humor. Babies begin to smile within the first few weeks of life and laugh out loud within months of being born. Children laugh on average 200 times a day whereas adults only 26 times daily. Experts recommend that we get a good 15 minutes of deep belly laughter every day and here’s why. Laughter attracts us to one another and in turn makes us more attractive and sociable. Think of the feeling you get from telling a good joke and having people respond favorably. Laughter is relaxing and relieves stress, tension, pain and conflict and inspires hope. It triggers the release of happy hormones – endorphins that activate the body’s opiate receptors causing an analgesic, calming effect. It also allows us to let go of inhibitions and defensiveness and as a result we feel more connected to each other. It can improve heart health and even help with weight loss. 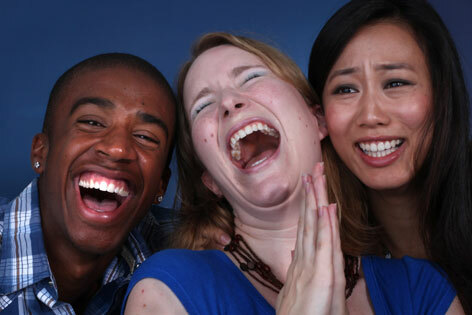 Laughter can balance cortisol levels and reduce blood pressure too. This hormonal steroid produced in the adrenals helps us cope with stress but when over produced can make us susceptible to illness, weaken our immune systems, and interrupt our sleep. So let’s consider ways to get a good dose of daily laughter. Be social with fun people who don’t dwell on the negative. Be prepared to laugh at yourself. It can shift your perspective and very often offer a solution where there was a problem. Find a good comedy or sitcom and watch with friends. The message here is laugh lots and live longer. Exercising those facial muscles regularly will also make you appear more youthful. The power of scent can make you feel something. It can remind you of places, people, your favorite food experiences and beyond that, can change your mood completely. Smell begins in the olfactory region behind the bridge of the nose. It is connected to the limbic system in the brain which has a very potent sense of recall that can trigger memories from way back! And talking of way back, essential oils have been used for centuries. There are all kinds of references about kings, queens, lords and ladies all the way down to peasant folk using oils and herbs on a daily basis to fragrance themselves, their homes and to keep themselves healthy. Even Sir Walter Raleigh used a strawberry and rose cologne every day! It has recently been discovered that Alzheimer patients lose their sense of smell as their memories diminish and for the record, women have a stronger sense of smell than men. So how to harness this extraordinary power? There are many ways to incorporate essential oils into your daily life. Most oils are anti-bacterial, anti-viral and anti-inflammatory. We use grapeseed oil as a base at SkinSense and sometimes evening primrose oil if the skin is very dry. With these cooler evenings, add aroma to your fireplace by applying ten to twelve drops of essential oil to a dry log. Let the oil permeate the wood for at least a couple of days before burning. Refresh the air by adding twenty drops of your favorite oil to a small spray bottle filled with water. Shake before use and spray as desired. This natural air freshener won’t irritate your sinuses. Relax your mind at the end of the day with Chamomile, Lavender, Bergamot or Cedar wood in your bath water or a diffuser. And talking of diffusers, they also help in the kitchen too, and pretty much every room in the house. A diffuser on the desk containing a blend of spearmint, rosemary and lavender will keep you alert, able to concentrate on the most challenging of tasks. And while commuting, lemongrass and sage can keep you alert and safe. Dab a few drops on a Kleenex or on your wrists or temples. Always include an essential oil with any massage you receive – the citrus oils are mood enhancing and of course, lavender is super relaxing. Ylang-ylang and jasmine add a romantic touch. For meditation, combine frankincense, cedarwood and geranium. To sooth a headache use peppermint, chamomile and lavender. To hydrate dry skin, use a blend of rose and geranium and apply under your night crème. Finally, with the holidays around the corner, take a blend of lavender and tea tree on board when you fly and dab a little under each nostril. It will keep those winter germs at bay! Essential oils are curative of mind, body and spirit so inhale deeply and stay calm in these challenging times! If you want healthy skin, the best place to start is with a healthy lifestyle and an excellent skin care routine. Nutritious food, adequate sleep, regular facials and good quality skincare products are the building blocks for maintaining a glowing complexion that gets noticed. However, there is one often-overlooked factor in skin care that might be affecting the health of your skin—pollution. Like it or not, pollution is a fact of modern life. When we talk about heavy pollution, many Asian cities come to mind. We have all seen images of people wearing masks to work every day in Beijing, Tokyo and Delhi. But the effects of toxic air are also being seen in many ways in western cities, like Paris, New York and London. Closer to home, with the heat upon us in Los Angeles, the smog has returned and unfortunately, the fires. Plus, here in the southern part of California, we did not get the rain we anticipated earlier in the year, and that has added to the level of unfriendly particulates in the air. This toxicity is having a very detrimental effect on the quality of our lives here and worldwide. The Bad News: The real culprits? Traffic pollution is particularly bad for the skin. Tiny particles called PMs that contain nitrogen dioxide and other harmful chemicals have now been linked to cancer, wrinkles and aging. It has also been discovered that these particles can actually penetrate into the skin, stimulating the melanocytes which then produce an overabundance of pigment and brown spots. Additionally, there is evidence that toxins can increase the production of extra blood vessels which cause redness, irritation and rosacea. One final point to take into consideration is that pollution can actually heighten the intensity of UV light and cause even more damage to the skin tissue. Never have SPF’s and EPF’s been so important. The Good News: What to do? On the bright side, modern technology is not only helping us understand these issues but is coming up with some protective measures and great products we can use to neutralize the damage without all of us having to wear biohazard suits every time we step outside. We need to get back to beauty basics in a serious way and that means paying great attention to our night-time rituals as well as our morning routine. Double cleansing at night is now an absolute necessity in today’s polluted environment. A deep pore cleanser will remove the grime that builds on our skin during the day. Using two types of cleanser – an oil or cream based product before the deep pore formula – can ensure that every scrap of make-up is wiped off. This is very important if you are using mineral based make-up – which I love – but it can adhere to the skin more than traditional formulations. Whatever routine you chose, make sure it is thorough. Adding a Clarisonic brush to your cleansing routine is very helpful. For sensitive skins I would recommend only 2-3 times a week; less sensitive, once a day. And I am a huge proponent of following with a toner. Toners re-establish the pH of the skin and prepare the way for hydration and treatment products. Night-time cremes and serums should be an area where you invest more time and money. Alternating products that contain Retin-A, hyaluronic acid, vitamin C and other anti-oxidants, peptides, ceramides, stem cells and AHA’s really makes a difference to how the skin ages but don’t overdue the exfoliating. We need to protect our skin barrier as much as possible these days and being over aggressive can create vulnerability to the environment. This is an area where your aesthetician can advise you and work out a routine that gets the best results. Switch to mineral cosmetics on top of your SPF to add an extra veil of protection during the day. Use an air purifier at night to reduce indoor air pollution. Change pillow cases at least twice weekly. Continuing research will provide more ways to protect us from the damaging effects of pollution but taking steps now will make a big difference to how healthy our skin will be as we age.